Besides visiting one of the more ingenious parts of the Great Wall, this tour is sandwiched by some of China's other imperial charms. 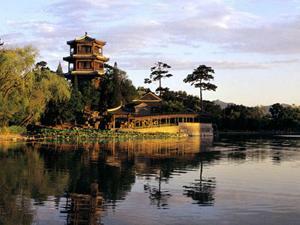 You'll start out by visiting the East Qing Tombs, which is one of China's vastest and most well-preserved burial sites. You'll then be taken to the Great Wall at Huangyaguan, which is designed to be a miniature representation of the entire Great Wall, allowing you to get a keen insight on the structure in a much shorter time than it would take to walk the entire wall! You'll finish your hike the next day. After your hike you'll be driven to the city of Chengde, which served as the summer retreat for emperors of the Qing Dynasty looking to beat the heat of Beijing. Here you will visit the sprawling and magnificent Summer Resort, along with the Small Potala Palace, a grand buddhist temple that is a recreation of the Potala Palace of Tibet.